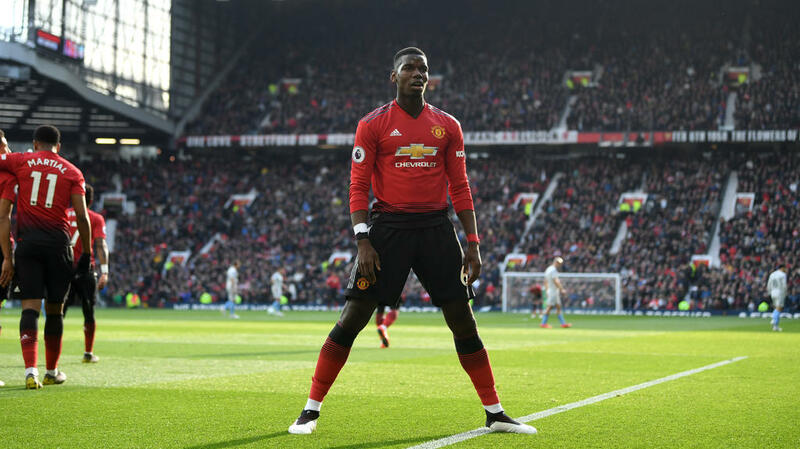 Manchester United needed two Paul Pogba penalties to stay in contention for a top-four Premier League finish by beating West Ham 2-1, while Tottenham moved up to third thanks to Lucas Moura's hat-trick in a 4-0 win over Huddersfield on Saturday. However, a much-needed win moved Ole Gunnar Solskjaer's men up to fifth, at the expense of Arsenal, and to within two points of Chelsea in fourth. United were gifted a first-half lead when Robert Snodgrass's clumsy challenge brought down Juan Mata and Pogba sent his first spot-kick down the middle of the goal. Antonio crashed a shot from range off the bar before De Gea produced a stunning save to claw the West Ham forward's header to safety. Dele Alli was also sidelined by a broken hand, while Mauricio Pochettino took the chance to rest some other key personnel, including Son Heung-min, ahead of the second leg of his side's Champions League quarter-final against Manchester City, with Tottenham holding a 1-0 lead in the tie. Lucas took his chance to shine against the already relegated Terriers to show Pochettino he could be an important weapon in Kane's absence as Spurs look to tie down a top-four finish. "Players need to play to show their quality. The hat-trick is going to build his confidence," said Pochettino. Lucas made it 2-0 three minutes later and then struck twice more in the final three minutes as Pochettino's men made it three wins from three at their impressive new 62,000-capacity home. Chris Wood gave the hosts a merited half-time lead, but Cardiff were left furious after referee Mike Dean overruled his assistant's decision to award a penalty to the visitors after the break. Another big Cardiff penalty appeal was turned down before Wood sealed the win in stoppage time. Brighton remain catchable for Neil Warnock's men as they succumbed to a humiliating 5-0 home defeat to Bournemouth. A dreadful day for the Seagulls was rounded off by a red card for Anthony Knockaert. "We've got to get back to being the solid team we know we can be," said Brighton boss Chris Hughton. "If we thought today was a big game then Tuesday is an even bigger one." Fulham's relegation to the Championship is already assured, but they secured just a fifth win of the season by beating Everton 2-0.